Today I get to speak to Robert Sturman global Artist and Photografia about yoga, photography and art. Be prepared to see more insights into Roberts’ passion and work. . The subject of two New York Times articles, Robert Sturman’s art captures the timeless grace and embodied mindfulness of asana. A dedicated yoga practitioner himself, Sturman’s work has increasingly gestured at something beyond the physical, something transcendent. His stunning repertoire runs the gamut from yogis perched on rocks surrounded by the Pacific ocean, to African orphans practicing yoga in Kenya, to breast cancer survivors, bare-chested and scarred. Sturman’s portraits, whether set in the lively streets of Manhattan, the expansiveness of Malibu’s beaches and canyons, the timeless elegance of Walden’s New England, or the bleakness of San Quentin Prison, remind us that there is beauty everywhere. 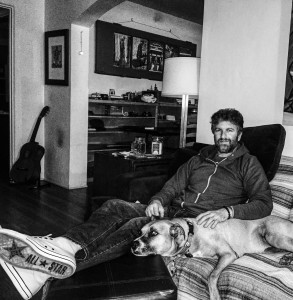 A native Southern Californian, Robert Sturman lives in Santa Monica with his dog, Chai. Credentials: Official Artist 47th Annual GRAMMY AWARDS, 2010 FIFA World Cup Artist Representing the U.S.A., Official Artist 2007 United States Olympics. Take a moment to get to know the man behind the lens and what stokes his inspiration.